Originally from India, Vinod Gupta had a humble beginning. Born to a life of bare necessities, Gupta focused on school and making a better life for himself and his family. After finishing high school, he went on to attend India’s Indian Institutes of Technology (IIT) where he studied agricultural engineering. In 1967, Vinod Gupta came to America to continue his education and receive his Master’s Degree in Agricultural Engineering and Business for the University of Nebraska. He later returned to his homeland in 2006 as a scholar and entrepreneur, to deliver the commencement speech to the IIT Kharagpur graduating class. Vinod Gupta began his career with Commodore Corporation as a Marketing Research Analyst. Tasked with gathering information from all over the country, Gupta saw a need for a better system. Along with a fellow employee, Gupta developed a database with all the mobile home dealers in the U.S. After compilation he gave an option to the company he worked for to buy it for a hefty $9,000 or allow him to keep it and sell it to competitors. Well Commodore’s reaction was an opportunity for Gupta. When Commodore declined, he used it to his advantage and founded and created his first business American Business Information (ABI). ABI was just the beginning for Gupta. Get Additional Information Here. Fast forward to today Vinod Gupta is the thriving force behind Everest Group an investment firm. He has taken his experiences from CEO, entrepreneurial ism, and technology savvy; to create a mega firm that handles funding to enhance success for struggling information technology companies. Besides Vinod’s entrepreneurial prowess he has a charitable spirit. He has donated and been the champion for individuals that need work after experiencing hardships or struggling with disabilities. He is truly devoted and believes that information technology coupled with artificial intelligence is the wave of the future. Vinod Gupta has been a huge supporter of Women’s Education and started the Ram Rati Gupta Polytechnic for Women in Rampur Maniharan. There is a lot of negativity often associated with big businesses. They are thought to be completely heartless entities that are only interested in increasing their net worth and global power. This is never completely true of any business, but some businesses exude their desire to help the community more than others. National Steel Car, in contrast, has put a lot of effort into cultivating a giving spirit and an atmosphere of caring. National Steel Car is a place where every worker knows that the products they produce are top-notch and their customers will be happy with the materials they receive. Since the rolling stock business is already very competitive it is good to know that this company has taken the extra steps to ensure that there is excellent value in their products. The company has CEO and owner Greg Aziz to thank for the extra mile of caring that they are known for. Since he took over the company in the 1990’s there has been a completely different atmosphere around the place. National Steel Car has a long proud heritage. The company started in 1912 when people of the community expressed a need for rolling stock. The company began to expand their customer base to other communities and eventually started servicing almost all of North America. When the 90’s came around, National Steel Car did not stand quite as proudly as it did in its early days. The time for innovation had been long gone. Not one was interested in their products the same. Gregory Aziz wanted to relight their fire. He implemented better engineering and helped create new products that shipping companies needed for their goods. On top of that, he created something with amazing quality. The products coming out of their business were superb. They even began earning the company awards all over Canada. In fact, the TTX SECO award is typically reserved for businesses that produce products of only the highest quality. That quality award is also held for businesses that give their customers this quality as a good value. Greg Aziz pushed the company, but he was able to help them realize their passion all over again. He lit a fire in the company the only way that a true leader is able to do. National Steel Car is now one of the global powers in manufacturing thanks to his efforts. They will continue to astound and mesmerize the public for many years to come. How did the internet become the place where companies have been able to find information on prospective customers and use that to tailor their marketing specifically to them? Vinod Gupta, an Indian-American entrepreneur laid the ground work for it by turning yellow page phone books into searchable databases. The company he ran for many years that had this information was InfoUSA which made several key marketing group acquisitions along the way to becoming a multi-million dollar company that had extensive business contact information spanning across multiple industries. But it was how Gupta started this company that was quite remarkable. Vinod Gupta had come from poverty in India to being able to attend grad school in the US at the University of Nebraska. It was after this while working at Commodore Corporation that he got the idea of monetizing contact information in business lists because he had been asked to gather that information to build sales leads. He couldn’t find it in the existing company lists, so he bought yellow page phone books from every state to do it. Gupta was nearly fired because the yellow page books took up so much space, but after moving the operation to his home he was able to build a big list. See This Page for related information. Gupta later had the opportunity to take the list and sell it to Commodore’s competitors, and with $100 that he invested in mailers he soon was selling his yellow page list to multiple customers. From there he soon was generating enough income to run his own information sales business and he began by naming it American Business Lists. But as it became more tech-based and grew, he had it changed several times until finally it was named InfoUSA. Gupta would sell the company in 2010. Vinod Gupta has wanted others in third world countries to have the same opportunities he did to become a millionaire, so he’s started charity programs to provide education and housing in those countries. Even his own native village north of Delhi, India was able to have new schools and basic service infrastructure built thanks to Vinod Gupta’s contributions. Gupta also worked with the Clinton Global Initiative and the former president’s foundation, and he even was a top pick for Ambassador to Fiji though he declined that appointment. The city of Hamilton in Canada is the home to the National Steel Car, the biggest manufacturer of railroad freight cars, also known as rolling stock. The company has a long history that goes back to 1912 when some entrepreneur such as Sir Morison came together to create a factory that would benefit from the boom in the rail sector at the time. They had no vision this company would live on for over one century. What seemed like a short-term investment in a booming industry has turned out to one of the great companies in the world. The company was then known as Imperial Steel Car Inc.
National Steel Car has been around for over one hundred years, but it is still known for its operations in the rail sector, despite the company being one of the oldest in the world, it is now doing very well. It has the best quality rolling stocks that have demand even beyond North America. They are being exported to various parts of the world such as China. It is rare to see a company that is as old as this one which is still dominating in their respective industries. The rail industry still recognizes this firm as the best producer of rolling stock in the whole world. The growth of the National Steel Car has been affected by a number of factors but at no point did it fail to be in business. Both the world wars did not affect it, and in fact, they were a source of business for the company as its products were in high demand at such times. The economic recessions that have taken place in the past one century have also not affected it. It is still doing very well. The company was founded on a strong foundation of service to the people, and that is the reason we have not seen it go down as it normally happens with other bossiness when they face challenges. Find Related Information Here. The National Steel Car has also excelled due to the leadership of Gregory J Aziz, the current CEO. When it looked like it was going to collapse, he came rescued and transformed it. He renovated the system, and now it seems like any other business that was recently introduced. Gregory J Aziz’s brilliant management skills have supported the growth of the company. In just five years of his leadership, the company had moved to a higher level than many people would have thought. Since Gregory James Aziz used to be a banker, he knew a lot about finances. He knew there were things that would help make him better and would change the way he did everything. Gregory Aziz felt good about helping people and wasn’t afraid to keep showing them they had someone who was good at banking. Gregory James Aziz is a great businessman and feels good about all the business he does. When Gregory Aziz realized he wanted to do something different with his career, it gave him the chance to try and show people they had someone who knew what they were doing. It also made him realize he was doing everything in a way that allowed him to show more people how they could see success in the future. Gregory James Aziz feels good about giving back to the community and isn’t afraid to show them what they can get on their own. Even when things were difficult for Greg Aziz, he knew National Steel Car would keep getting better. The company is successful because of how hard they worked, and Gregory Aziz knew that when he started the business. He felt good about giving National Steel Car more chances and wanted to do things that would allow people to see positive influences on their own. With his help, National Steel Car would keep getting better and people would keep using it to continue no matter what issues they faced before. National Steel Car is now better than it ever was, and people are getting more from the company than they did in the beginning of it. As long as National Steel Car knows what people need, he isn’t afraid to keep giving them the options they can use on their own. With his help, National Steel Car will do things that will keep getting better. National Steel Car stands a chance at growth and will continue making sure they serve their customers. Gregory James Aziz doesn’t plan for the company to ever lose the success they currently have. In fact, he knows it won’t ever go back to being the same as it was when he purchased it. Go Here to learn more. Hussain Sajwani is a successful businessman, he is also a philanthropist and enjoys giving back to the community. Hussain Sajwani is the founder of the DAMAC properties, a house developer company based in Dubai. DAMAC properties have become a household name and currently offers its services in various parts of the world, they include; London, Dubai, Beirut to mention a few. DAMAC is responsible for the construction of some of the most luxurious hotels and homes in Dubai. Providing quality, Hussain understands that for your product or service to be accepted in the market. Producing quality products is essential. This is why Hussain has chosen to work with some of the best in the real estate industry, Hussain has worked with Tiger Woods in the designing of one of the hotels. He has also worked closely with the Donald Trump’s Organization, working with some of the most qualified designers have put DAMAC on a global level, and this has helped to increase the returns. Another factor is good leadership skills, Hussain has portrayed his exceptional leadership skills, due to the success of his projects, Hussain’s first business was in the catering world, the business is still functional to date, and this is attributed to Hussain’s management skills. The catering company now supplies food in the Middle East as well as parts of Africa. Positive attitude, every business has hardships, but how one deals with the tough times is what creates the difference. Hussain Sajwani has ensured he is positive in his work. Despite the real estate downfall in 2008, Hussain still emerged again and has experienced success. Erem News mentioned that Hussain Sajwani is a real inspiration, for new entrepreneurs. Hussain has managed to inspire people to take risks. Hussain quit his first job to join business. Despite the challenges, he would face in the business world. Hussain was ready to take the bold step, and it has turned out to be one of the best decisions in his life. Even after achieving great success, Hussain has not forgotten the less fortunate, he is a philanthropist and has worked with several organizations that aim at making a difference in the society. View Hussain Sajwani’s career history. Victoria Doramus is an experienced market trend analyst who developed a solid understanding of the trend of the global market, especially with the fashion and retail industry. She managed to develop a skill that would allow her to identify the trends that would have an impact on the global market. She has been pointing out her ideas through writing and reporting, and experts have welcomed most of her work. Victoria Doramus has a six-year experience working as a freelance writer. She also worked as a research assistant, extending out her help to several authors who would write some of the best books dealing with fashion and retail, including “A Century of Fashion” by Bloomsbury, published in 2012; “The Modern Girl’s Guide to Sticky Situations” by Harper Collins, published in 2011; “Menu Dating: Taste-Test Your Way to the Main Course” by St. Martin’s Griffin, published in 2009; and “What’s Next: The Expert’s Guide” by Harper Collins, published in 2008. She also collaborated with two individuals in 2010 to become an art director and a trend consultant. To know more about her resume, visit https://www.visualcv.com/. Apart from being a freelance writer and a research assistant, she also became a trend correspondent for a year, serving mass media companies like the Cosmopolitan, The Huffington Post, and USA Today. Her extensive experiences in the world of fashion and retail have helped her to outshine her competitors in the market. She is also particular about her experiences in working, and whenever she looks back, it makes her proud of her achievements. Victoria Doramus is a proud alumnus of the University Of Colorado, Boulder, where she took her BA in Journalism from 2002 to 2006. She is also an alumnus of the Sotheby’s Institute of Art in London, where she took up Contemporary Design with a concentration in the field of Fashion History from 2012 to 2013. There is a lot of work that goes into building a business. The person who decides to take on it that responsibility must be strong and motivated to succeed. Gregory James Aziz believed from a very young age that business was going to be his calling. His beginnings started in London, Ontario in 1949 to parents that would go on to help found the amazing wholesale grocery company Affiliated Foods. 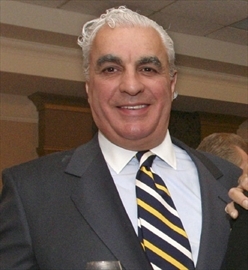 The young Gregory Aziz was educated at Ridley College for his foundational levels, but he went on to the University of Western Ontario to receive a degree in economics. His degree in economics would prove to be a very valuable resource as he moved on to take on his next challenge with National Steel Car. 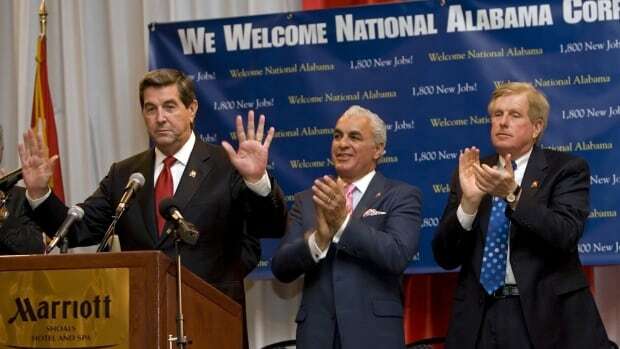 National Steel Car was a railcar manufacturing facility that Gregory Aziz purchased in 1994. He saw a hidden potential in the downward manufacturing company. Previously in its history, it had been considered a major player in the manufacturing business. It had even been regarded at one point as a gem in the Canadian business world. Unfortunately, by 1994, National Steel Car had touched a point where it was in sharp decline. The Dofasco Company that owned the business before Greg Aziz believed that there was not a lot they could be done for the company. They had lost control over it in the years leading up to its purchase. When Greg Aziz took over, one of the first things he did was overhaul the personnel, the training practices, and all of the business proposals that were currently in action. He needed to change the entire way that the company did things in order to save it. Quality became the number one concern for anyone that was working in the company. He retrained all of the staff and started to build up personnel. The company went from a meager 600 employees to now more than 3000 individuals. He knew that interest in quality would require more bodies in the manufacturing process. His work paid off, and now National Steel Car is one of the world’s leading manufacturers for freight cars. Their rolling stock is considered to be a gold standard for people who are looking for this type of material. They have earned a reputation that has set them above even manufacturers of different sectors. They are even the main suppliers for most of North America. Gregory Aziz has truly built something exceptional. Hussain Sajwani is an extremely successful businessman from the UAE. He started his company from the ground up. Sajwani began with a catering enterprise that served the US Military and several other large companies. He eventually formed DAMAC Properties and moved into real estate development where he has a number of high-end clients on his list. Hussain Sajwani is the son of an entrepreneur. He developed his business skills very early in life. Hussain began his career in the gas industry after completing college at the University of Washington. Only two years after working with Abu Dhabi Gas Industries, Sajwani formed his own catering company and developed a contract with Bechtle, along with the United States military. Sajwani is still working in the catering industry and holds the same contracts. The company is now known as Global Logistics Services. Hussain Sajwani went on to develop DAMAC Properties and began doing business in the Middle East. DAMAC is one of the premier real estate development firms in the area. It has produced more than 19,000 apartment complexes that feature over 44,000 units. According to The National, Hussain Sajwani has high profile projects on his resume. His company built the golf course that was designed by Tiger Woods. The course is managed by the Trump Organization. Sajwani has a close relationship with President Trump and his family. He has been known to conduct business with Ivanka Trump and President Trump’s Sons Donald and Eric. DAMAC is known for other impressive property developments such as the Versace and Fendi Italian houses. They also built the Bugatti styled luxury villas and the Paramount Hotels & resorts. Crunchbase said that Hussain Sajwani and his family maintain a close relationship with President Trump and the Trump Organization. Sajwani and his family were invited out to the Mar-a-Lago resort when Donald Trump received the nomination for President. He plans on conducting business with President Trump’s son and feels there will be no conflict of interest as Mr. Trump continues to serve in the office of President. Check him out on Instagram.